Candied pansies paired with chocolate is just one delicious example of how edible flowers are having a moment. From seafood to cocktails, here are five fantastic ways to use them. Jean-Georges Vongerichten’s excellent seafood dish features spicy nasturtium flowers. Dried lavender blossoms add delicious floral flavor to this summery dessert. 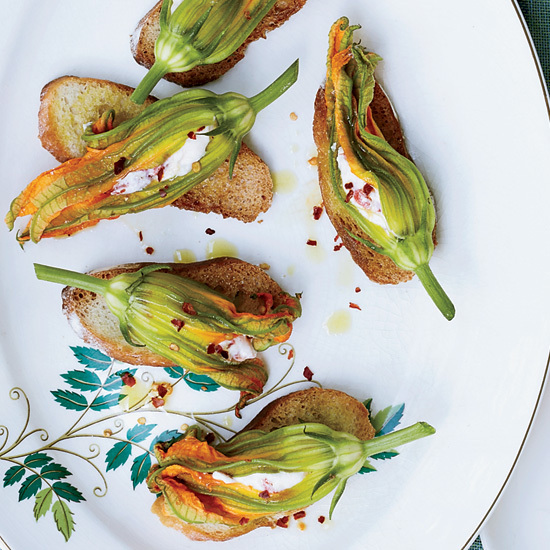 These dainty flowers are terrific stuffed with a mix of ricotta and pimentos. Chef Chris Cosentino makes this healthy vegetable dish with smoky dried chiles. Edible rose petals top this refreshing cocktail.